The calls follow what both ICSA and IFA have described as significant problems at factory level, over a “severe interpretation” of CLP rules being enforced at some plants. What is the policy on visually assessing sheep as they arrive at factories, either on the part of the Department of Agriculture or individual meat plants? What is the procedure, or legal framework, regarding lambs being removed from site and transported to an alternative location for clipping? 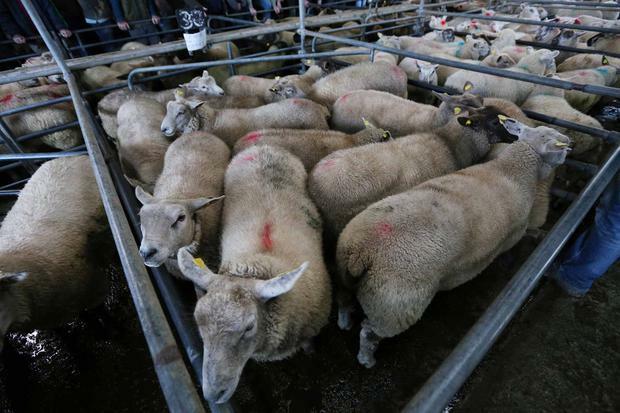 What happens to lambs that arrive from Northern Ireland or from Britain for slaughter? Are they subject to CLP? If so, is it safe to allow these lambs to be moved out for clipping, given the possible disease risk? How is the disease risk monitored in these cases? What happens to lambs that are presented for slaughter on a Friday that the plant deem as requiring clipping? What procedures are in place for accommodating clipped lambs awaiting slaughter over the weekend period to avoid animal welfare issues? What is the maximum cost that can be imposed for clipping procedures? ICSA has received reports of farmers being overcharged for dressing procedures, with charges reaching €2/animal. IFA sheep chairman Sean Dennehy said CLP was causing significant problems at factory level, with an interpretation of the policy that is considered “far too severe in some areas”. “Fleece-to-carcass cross-contamination is a crucial meat safety issue, and the industry invests significant resources in ensuring hygienic carcass dressing. “It is an area that requires continuous attention by both farmers and the meat industry,” Cormac Healy of MII said. “It should be noted that at this time of year, due to the weather conditions, the CLP challenge for both farmers and processors increases and there is a heightened focus on the area by the Department of Agriculture as part of its official controls in processing plants. “The net result is increased numbers of sheep needing to be clipped or shorn to ensure hygienic dressing.